South Florida homes are experiencing a large wave of cast iron sewer pipe problems due to the 25-35 Year life span of cast iron pipes. If your cast iron sewer pipes are 25 Years old or older, they could fail at any time. Your drainage lines may already be damaged by tree root intrusion, cracks, channelling, or misaligned connections before you experience complete sewer line failure. Do not let your plumbing get to the point were it fails! A failed or collapsed sanitary sewer line will cost you tremendously more to repair than proactive maintenance and repair will. This article highlights 10 tell-tale symptoms that your sewer line is deteriorating and possibly broken. If you experience backups or blockages regularly even after having the pipes cleaned, then you may have an underlying issue such as tree root intrusion, channelling, cracks letting surrounding soil in, or a misaligned pipe connection. These issues can be detected by getting a sewer video inspection. A slow drain may be a symptom that a blockage is forming which will eventually lead to a sewage backup. If your toilet, bathtub, or sink is draining slowly even after attempts to clear the line, you may have issues such as tree root intrusion, channelling, or cracks, mentioned above in the beginning stages. If your home or building is not on pilings and you notice any of the aforementioned foundation related problems, a broken and leaking main sewer line may be a contributing factor and you should call a foundation repair specialist immediately. Rodents are responsible for the spread of many life-threatening diseases including Plague and Hemorrhagic Fever. Certain diseases can be transmitted simply by breathing in dust that has been contaminated with rat urine or droppings as well as being directly bitten by an infected rodent. 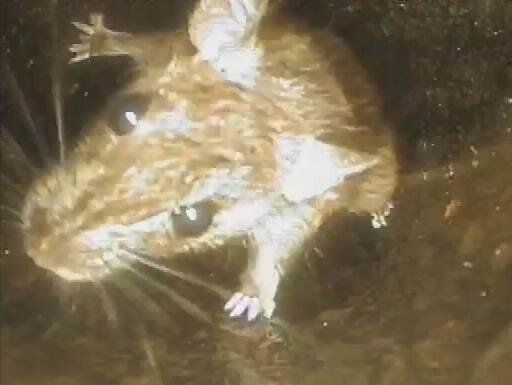 If you have a persistent rodent problem that pest control tactics can’t seem to solve, try getting a video inspection of your sewer system to see if you have any possible entry points for rodents. Calling a pest control company on a regular basis to get rid of insects will treat the problem temporarily, however if you have a compromised sewer line, the bugs will never stop coming into your home. You will need to address their entry point which may indeed be through a crack in your sewer lines. If you are experiencing any of these symptoms of a damaged sewer line, you should have a sewer inspection done by a qualified professional such as Pipelining Technologies, Inc. Plumbing systems can fail unexpectedly and cause substantial damage to your home. There are many methods of sewer pipe repair out there so we wrote this article on choosing between pipe lining and conventional repair, so give it a read before making any decisions! If you need pipe repair help in South-East Florida please feel free to contact us at (561) 853-5463 or fill out our online form here. I noticed a green patch of grass at our family’s cabin last weekend. It seemed really out of place, so I’m glad I found this article. I imagine that I’ll need a professional to do an inspection for a broken pipe. I just hope it won’t be too much of a problem. We have another get together planned at our cabin. Thanks for the information. We are glad you found this information helpful! An out of place green patch of grass will always have a cause (likely that it is receiving extra fertilizer in one form or another). Hopefully you were able to sort everything out at your family cabin. Thanks for reading our blog! I knew that rats lived in sewers. I mean, anyone who has ever watched Teenage Mutant Ninja Turtles knows that. However, I had no idea that they could squeeze through the cracks in the sewer and get into the house from there. Just knowing that makes me want to have my pipes checked for cracks! It is definitely a good idea to have your pipes checked every few years for possible rodent entry points. Nobody wants rats in their home! Thanks for reading our blog! Wow, I had no idea that there were so many issues with sewer deterioration. I was also unaware that sewer pipe damage had so many symptoms, but I guess it makes it slightly easier to diagnose the issue. It’s terrible that it can even cause mold to develop, because those repairs are a hassle, and can be expensive. Thanks so much for writing, I’ll have to keep an eye out for these issues! Sewer deterioration is often overlooked by many. Everyone plans to have to replace their roof eventually, but the sewer pipes often take the backseat, when in reality they should be at least as much of a priority as roofing. After all, no one will live in a house or condo without a functioning plumbing system. Thank you for all of the tips about sewer and water damages in the home. I have been suspecting there is some damage in my own home, but I’m not sure. Whenever I turn on my shower there is a very distinct smell coming up from the drain. Sometimes it seems to come from the water itself. Could that be water damage in the wall? Thank you! The best thing to do is have a plumber test the shower for leaks. Could be moisture getting behind a failing shower pan liner or a crack in the drain line. The P-trap should be full of water at all times, maybe check to see if leaking out (indicates a crack in p-trap). This is some great information, and I appreciate your point that slow drains even after trying to clear it can be a sign of root intrusion in your sewer. The drain in my laundry room has been having some problems with backing up, and using a cleaner hasn’t really helped any. I think it’s the maple tree in our front yard again, so I’ll definitely look into having a plumber come and take a look. Thanks for the great post! You are very welcome. When drainage problems keep resurfacing there is always a cause. 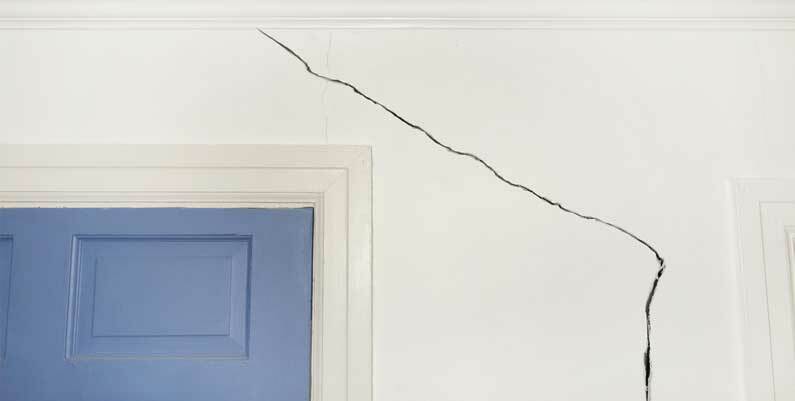 Common causes are deterioration due to age, cracks, channeling, misaligned connections, and tree roots. And if you have tree roots, that means there are cracks or some type of opening in your pipes (a drainage system should be air-tight, no openings for roots to get in). Some of these problems are just nasty. Someone has to do it. The life of a plumber is not so fun after all. My landlord knows there’s a problem by the just put in another sump pump to pump the water out of the basement onto the sidewalk which runs into the street to a storm drain. It clearly smells like sewage and there are sewer flies everywhere inside my house. Larva is pumping out with the water from the basement. How do I get someone to listen? So far no one has!! Is it true that if you have some cracks in the walls of your house that a investor can tell that you have sewer leaks om the slab as opposed to needing the foundation lifted? He actually said that from the location of the cracks and the direction in which they are appearing indicate a sewer leak and that I should have it inspected with a camera to determine where it is leaking and to have it fixed. Any idea the approximate cost of having a camera run through the sewer line under the house from the access point in front of the house? Texas clay soil is notorious for house movement going from dry to wet and the 3 months we have very little if any rain during the 100 degree heat in the summer. It is true that leaking sewer pipes under the slab can contribute to foundation problems by washing out soil and causing voids. A video inspection would be a first step in finding out. We are unfamiliar with the average pricing in Texas as we are based out of South Florida. Your best bet would be to call some local plumbers and get a few quotes. Just make sure that if you are paying for the inspection that they give you copies of the videos. Thanks for reading, Jim! I have sewer water coming up from behind sewer stack in basement is this a ruptured pipe under house?? A plumbing system should be air tight with the exception of vent openings and drains. If there are no vent openings or drains near the sewer water then there is a good chance that there is a ruptured pipe. We recommend getting a sewer video inspection done by a local licensed plumber. I have had a sewer gas smell in house making me and babies ill.I keep windows open but still smell bad.and horrible cough and mucus. Our batroom is on same wall as closet were the smell I strongest.my husband had went under hose and a y pipe hade broke he repaired but ground still wet could this be our issue and if so once ground dries will smell be better? If you found a broken pipe under the house that is a good start. We recommend that you get a sewer video inspection and/or a smoke test to determine if there are any other leaks. A smoke test is where a non-toxic vapor will be pumped through your pipes from either a vent stack on your roof or a clean out. If there are any cracks in your system, the vapor/smoke will manifest itself in your home. Your drainage system is supposed to be air-tight, so detecting any smoke inside will be an indicator of some type of opening/crack. Read more about smoke testing here. 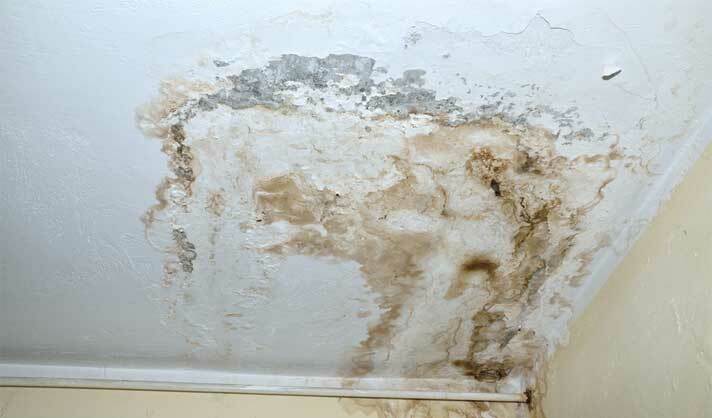 Also, if sewer water has been leaking behind your walls, you may want to have a mold inspection as well, as that residue from the sewer water will not go away on its own. Hi there, thanks for reading our blog! To determine if there is a crack in your pipes you will want to have a licensed plumbing contractor perform a sewer video inspection. A high quality video inspection should show whether there is any root intrusion/cracks. I had a pipe in my basement burst a couple days ago. I was also painting my bathroom on my first floor, so the smell masked it for a little while. I went to work and came home to such an overwhelming odor. Instant headache and dizzy! Now a few days later on the second floor of my home on the ceiling where the chimney is going up it is all mold and looks like water damage. It didn’t rain at all. Could this be from the sewer gas? The smell of the gas was the worst upstairs, so I opened all the windows. Smell is gone, but the patches on ceiling are still there. Help! A plumbing system by design is air-tight, so if you are smelling a true “sewer” odor then that means there is an opening/crack where there should not be. A sewer smoke test will help you locate the location of any leaks so that you can make the necessary repairs. Making a small opening in the ceiling where the mold is may also reveal your problem pipe. Boy are foundation cracks a mess! And if you develop a slab leak, game over. I have a problem with carpet being wet where anything heavy was sitting. I removed carpet from 2 rooms and I have huge cracks in my slab. I have never seen water, but if I lay something on the crack thats heavy the bottom of whatever is there will be wet. If I lay a piece of paper on the crack it will never get wet. Is it possible I have a sewer or drainage leak?? Would I have a foul smell? I had a plumber out, he said he does not believe I have a pipe leak. I had a roofer out and he found nothing. I checked my meter and it does not move when no water is being used in house. What is my next step? Thanks for reading! This sounds like moisture weeping up through cracks in the concrete slab foundation. This is often the case in older homes that have a missing or compromised vapor barrier. It is most likely ground water moisture coming up and doesn’t sound plumbing related. There are products on the market that can seal and waterproof cracked slabs and this may be something to research. I like how you mentioned that extra green patches of grass can indicate a sewage leak. My lawn has been fairly uniform, but there’s a patch near the street that’s much more green than the rest of my yard. I think that’s where my sewer line runs, so maybe it would be a good idea to have a professional plumber come and check it out to see if there’s a leak or another problem. It is certainly possible. Depending on the age of the home any number of improper connections could have been made to the city sewer and they will start to allow infiltration and exfiltration to occur in the system. A through video inspection of the entire sanitary system is a good proactive measure especially if the system is over 30 years old. I am in the process of buying a foreclosed twin home that has a water issue in the basement. There is also mold in the basement that starts from the base of the floor and works up about two feet up the wall. Water enters the basement when it rains from the back of the house. The backyard does have a slope that goes towards the house instead of away from it. There also a huge tree on the side of the house where the gutter goes from the roof to the ground. The pipe in the ground is cast iron and it has the gutter going directly into it instead of being directed away from the house. There is a sump pump system but the water does not seem to be flowing into the sump pump tank which leads me to wonder if the irrigation to the pump needs to be rerouted. I am also seeing drain flies which leads me to wonder if a sewer pipe has cracked or if this is an issue from the gutters being clogged. The water at the property had been turned off for about 6 months now so I do not think this is a leak in a pipe anywhere. The previous owner did disclose that the gutters need to be cleaned and that the sump pump was not working properly (however, I poured water into the tank and it did clear it, the water that is entering the basement just does not seem to have a connection to the sump pump). We plan to open the walls after closing but really want to get someone to look at the basement to give us an estimate of how much the work might cost. Do you have any idea what the issue might be? I would contact a local home inspector and have a through home inspection done to include the plumbing system. This is always advised when buying a home as there could be any number of undisclosed issues going on. A vapor test will tell you if there is any sewer gas escaping from the pipe. As for the house shifting I would suggest reaching out to a foundation expert in your area. My boyfriend is redoing his basement. He dug up the slab to get to the main sewage line for the bathroom piping that is soon to be added. However, we started to notice the smell of sewage, and there is not small puddles forming under the main sewage line. At first we thought is was ground water surfacing, but the puddle got larger after running water/flushing the toilet. Not sure how we can fix ourselves, or how much this will cost. I assume that the smell of sewage is an indicator that this pipe is no longer air tight. I meant there are puddles forming under the main line. Thank you for reading our blog! Without being able to personally inspect the issue in the basement, we can only recommend hiring a professional to come out and diagnose the issue and make the needed repairs. I would like to have my sewer checked out. It is smart to get my sewer checked out. I would want to know everything is taken care of professionally. I would not want my sewer to damage my roof like shown here in this picture. We are moving to northeast Florida in a month. We are going to rent. How often was Orangeburg pipe used in Florida? Every area is different. Talk to a local plumber and have a home inspection done of the pipe. I never thought about how a slow drain could indicate that there could be a major problem with the sewage and that things could be seriously blocked. I’ve heard, too, that you need to pay attention to the level of water in your toilet because if it’s lowering constantly you could have drainage issues, too. I’ll be sure to remember all of these great tips and warning signs as I check my house to make sure that I’m not needing sewage repair. Been having backup in my downstairs toilet about every other month after using shower upstairs. Company discovered roots in my line. They snaked it, and next day came out with a camera for line. I looked at video with them and saw a small root and crack in pipe. However, he said it appeared I had a bend or collapse further in line as water was collecting (backing) in an area. He suggested repairing only the cracked portion where roots entered. Gave me a quote. Called out another company for 2nd opinion and paid same fee. This company wants to repair pipe 30-40 feet in up to directly under my downstairs toilet costing nearly $15,000. Is that necessary? Not sure how old the home is but all pipe fails over time. Yours is starting to go and already cracked in at least one place. Lining or replacing the entire line is always the best solution but you have to do what your finances allow. Perhaps a “band-aid” repair will get you by for a few years and perhaps not. Unfortunately it is a decision that only you can make. Every time I flush the toilet I hear it dripping in my backyard, what could this be? Really not much info there to go on. Is this a new occurrence? Do you have a septic tank? Where do you hear dripping? Is it a multi-story home? Etc. Jeannette, unfortunately these stories are all too common. The home sewer system is not part of a typical home inspection nor do many realtors truly understand the underlying risks of cast iron drainage in older homes. A video inspection before closing is the only way to know the hidden risks. Now that you have closed just be thankful you found this before you replaced all the flooring etc. I can’t offer legal advice but I can advice to have the plumber inspect the entire system, not just that one line. I didn’t know that lush green grass could be a sign of leaky pipes. It does make sense, though, because it would be getting more water. I’ll have to tell my husband to look out for that when he mows the lawn because we do live in an older home. Hello, could your drain lines under the home with a slab foundation leak without any noticeable signs causing foundation to fail?. I live on a hill and the street is about 15′ lower than foundation. And my closet sometimes smells like soil could that be apart of a drain problem? No back up at al. Several sewer back ups some only 2 weeks apart. We use a rooter and pull out baby wipes ( we don’t have kids or use wipes) also for past two years we haven’t put any toilet paper in toilet for fear it was contributing. But when it backs up we get toilet paper coming up! It’s not ours! Sometimes happens during rain but sometimes not. Neighbors have a baby and I found wipes blown into our yard. City wasn’t helpful. Was able to get someone else to look a sewer paper and said it didn’t connect to anyone else’s line. If it was roots or collapsed pipe how would we be getting other people’s stuff? Even if we aren’t home to use water it can back up. At this point we feel hopeless. Elin, I would start with a through video inspection of the entire building drain. They can trace out the pipes and see where the city tie-in is and if there are any breaks or cracks. When you have the drain snaked it may be going into the sewer and pulling back debris in the city main. You said the city wasn’t helpful, did they camera their main. Are the neighbors on either side also experiencing backups? I like how you mentioned that a sewage backup is typically caused by a blockage somewhere in the line. For the last week when I have flushed my toiled the shower has backed up. It sounds like this could be from tree roots. I’ll have to let my wife know it could be a good idea to look for a pipeline cleaner. My toilet started flushing with less pressure for weeks then backed up. Thought I just needed a plunger but now it’s very low pressure and bowl hardly fills, after awhile it will fill about half of what it used to. Do pipes below it need to be snaked? Tub has drained slow for many years but plumber told me it’s because pipe is horizontal. I live on third floor, and Don’t want to cause damage below. How long do seals last under toilets ? Nor same toilet, other one started leaking a bit near base. Hi, i live in a property where the pipe had collapsed which is leading from manhole in our garden to the street line. The toilet would bring up everything we tried to flush and extras. There was a foul smell which would arise from the toilet and the garden. The sewage company had made a big hole at the from of the house detect the problem. We had smell coming from back, front and in the house. My question is does the (toxic/nauseous)smell effect the health of the family members in the property, especially kids health. If so then how please let me know as i am concerned parent. My son keeps getting sore throats and bronchitis which has lead to getting a inhaler. Hi, great article and very informative. I’ve lived in my home for a year now and 3 times we’ve had sewage backups out of the drain outside our rear basement door. Ive also noticed a sewage-type smell inside of our washing machine which struck me as a possible sign of a problem. We’ve also had a major fruit fly/sewage fly problem once with the flies coming out of several sinks/tubs in the house. In addition, we have a mouse problem and we can’t find where in the world they are getting into the house (and neither can Terminix, our pest control service). Your article has me convinced we are facing a serious sewage line issue. The person who sold us the house had installed all new plumbing, including a new sewer line, up to where the house’s Sewage line meets meets the front of the house. Is it possible the line from the front of the house to the street is where the problem is? Or could it be the new plumbing was not installed properly? I’m guessing it could be both but would love any thoughts or advice you might have. I plan to have a camera inspection done by a good plumber so any tips you have in that regard would also be much appreciated. Thank you! I would suggest a smoke/vapor test be performed along with the camera inspection. The smoke test will reveal any hidden deficiencies that may be in areas the camera can’t get to. That’s interesting that a sewage leak can cause extra green and lush patches of grass. I feel like that’s one problem that’s hard to notice if you don’t know what you’re looking for. That’s why I think that’s why it’s good to be aware of these other signs of a damaged sewer pipe. I’ve been experiencing lots of problems everytime our pipes are being damaged. Among the symptoms you’ve mentioned, I think the worst scenario for me is the Rodent problem since it’s life-threatening. If it happens, you will also need to see a doctor aside from a sewer repair expert! I never knew that it’s possible that there’s a problem in your main sewer line if you’re experiencing a back up when you flush your toilet or run water down your sink. This is what I’m trying to find out because it has been days since our drainages seem to be blocked, and I’m trying to figure out what the real problem is so I can ask for help from a professional. I will make sure to contact a septic system specialist as soon as possible for help. Yeah! great topic to choose.Your article is very elaborative I am loving while reading it.Some of the facts are unknown to me thanks for providing information and helping me out. Have you talked to the contractor that installed it? I was never aware that it’s possible that you have may have a broken septic tank if there’s a septic wastewater that’s pooling in your yard. My husband told me that it’s very unusual for our yard to be filled with septic waste in it. We’re trying to find out what’s the possible cause of the problem, so I’m glad that I saw your blog. I will make sure to contact a septic tank repair company soon. It has been a while since the drain of the kitchen and bathroom sinks started slowing down, and my sister asked me if there is something wrong. It was good to know from this post that slow drains are a symptom of blockages that will eventually lead the sewer system to back up. If so, then I ought to call a plumber to help us with the issue right away. Thanks! So we live on a hill and half our house is underground, this includes our kitchen and dining room and our downstairs bathroom. Last month we smelled a skunk smell, saw a skunk so we figured that is what it was, well the skunk , we are hoping has gone we blocked the area we saw him in and even hired a skunk guy. The smell went away, well in the meantime our meter was bad smelled gas got that fixed. So the last month on random very early morning hours we would wake up to the skunk smell, called the gas company and the one guy told us it smelled like pot in our house no gas leak!! Thanks for bringing to my attention that slow drains can indicate problems with your sewer line. My husband and I have noticed that our sinks are draining really slowly. We’ll definitely look into having a professional come and take a look at the sewer line. They are good in service. I think plumbers are perfect to do this. Last month I faced the situation of sewer gas odor around my lawn. In this situation I called plumber immediately and they did their job nicely. I never knew that it’s possible that your septic tank is broken if you notice that there’s a septic waster that’s pooling in your yard. Our yard where our septic tank is placed is noticeably becoming flooded. It’s important for me to address the problem properly, so I will make sure to contact a septic tank repair specialist. Could you recommend the name of a plumbing company in Woodstock, Georgia? We do have pooling above our septic tank out in the yard and I can also smell a sewage gas smell. Sorry but we are not familiar with that area. You got my attention when you said that it’s possible that your sewer pipe has issues that are causing the blockage on all your drains if you’re experiencing slow drains. Actually, almost all our drainage systems have been clogged since last night. We did everything to clear the clogs, but none of our techniques worked. I will make sure to have a professional clean and repair our septic system. It got my attention when you said that a slow drain is a sign that your drainage has a blockage that can cause sewage backup. This is probably the reason why all of our drains have been clogged since last night. There has also been a foul odor in our house, so I’ll make sure to have our sewer system repaired. Thanks for sharing this topic. I really got a lot of ideas on how to know if my sewer pipe has a damaged. Also it is better to call the attention of a professional plumber in case we have major issues with our pipes. I live in an apartment and was having some black stuff coming into the toilet bowl when I flushed. Had to clean it every other day or it would get really bad. Have been pouring in straight bleach and letting it sit for a half hour or so then brush and flush. It’s much better now than it was. It’s not instantly there after I flush now. It has lessened to the point that you just see a thin line of it and don’t have to scrub it nearly as often. Just found out that the new tenant behind me had poo stuck in her lines. So my question is could all the poo staying in her lines cause black mold to come up into her bowl and my bowl. Forgot to tell you she has black stuff coming in every time she flushes. Hello I really need your help for my boss to understand about his building has old cast pipe from 1982 to today 2018. He stubbornly fought with flood up in the toilet pipe with Home Depot drain clean out rent. I tried to tell him to get rent snake eye camera to see what wrong with it. But it final drain flood away as he thought he won in his wrong picture! I don’t think so because still he does not know why the flood up such broken pipes, or grease block, or whatever. The broken pipe may be good draining as he thinks so! No! It can cause sinkhole by broken pipe leaking! Don’t ya image this shop carries many different metals and fencing panels are total of extremely weight on the ground! May we end up in grant hole of South Mexico! Do ya have any photo referral about building collapsing in the sinkholes shown to his wife? HELP! You got me when you said that it’s possible that your septic tank is broken if you notice that there’s a septic wastewater that’s pooling in your yard. Our yard seems to be always flooded even if the weather is dry. In fact, there are plants in our yard that withered due to overwatering. Since we have been experiencing clogs since the other day, I will make sure to hire a septic tank repair specialist that can help us to address the problem as soon as possible. My advice would be to call a licensed plumber when replacing or lining damaged sewer pipes. Our house has cast iron sewer line, built in 1950. We have had intermittent sewer smells in the bathroom. The plumber could not find any issues with p-traps, or toilet connection. He was only able to do a minimal inspection of the cast iron sewer line located in the wall due to limited access. He suggested that we pour peppermint extract down vent stack and if we detect that smell in bathroom, it would indicate a potential crack. Have you heard of this as a sustitute for smoke test? A smoke test is the best method for finding damaged plumbing in the walls. Hello I have a question. my neighbor and I have a shared sewer lateral line. I want to have my lateral relined am i allowed to do so? Sewage backups and blockages as you mentioned is something I’ve been noticing with the bathroom shed lately so its drainage pipes may need some repair. Since I have been noticing some sewer gas odor as you pointed out as well, it may be a sign that the pipes may burst any minute. Some indentation in the lawn as you suggested may also be a sign that it’s an indicator to call professional repairs so I’ll take your advice and get help soon. We bought a 40 year old ranch with a full bath in the finished basement and a full bath directly above it on the main level. ONLY in summer we have intermittent sewer smell in both bathrooms. We have never had the smell in the Master Bath which is about 35 feet away from the other bath. We have NOT had any sewer smell since November(we live in the Northeast so it is cold here from November through March) so it seems there’s some relationship to the smell and outside temperature. A local radio show plumber suggested installing a whole house trap to solve the problem. He also mentioned a possible problem with roof vent pipes. Any thoughts?